Since artificial intelligence, machine learning and the resources of the cloud entered the picture, the discovery phase of litigation has become a lot faster and potentially less resource heavy. Discovery is the legal process of sharing between the two opposing legal teams, all case law, records and other forms of evidence related to the case. In the days before eDiscovery, litigation required many junior lawyers culling through boxes of documents and days in law libraries searching for relevant case material. The time factor and the costs of discovery were sometimes a very significant factor in the total billing for a case. The need for a solution to reduce the drag on the legal process was evident from the beginning. 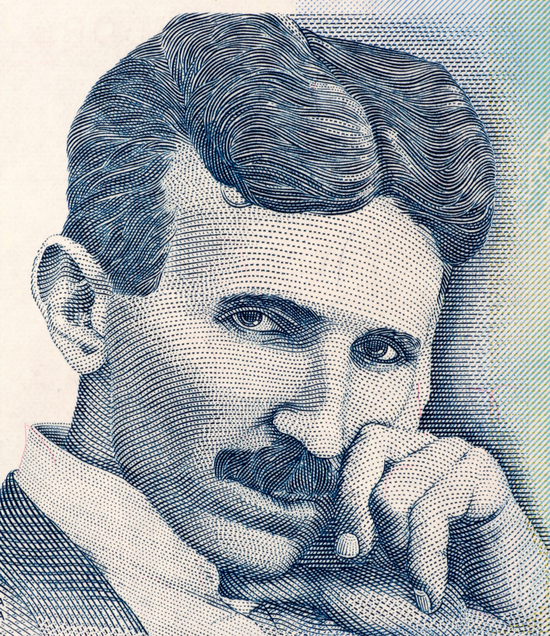 Electronic discovery aids were invented by Nikola Tesla in 1938. It was so clear that something had to be done that, in 1938, inventor Nikola Tesla imagined and designed a machine that could capture the contents of wireless transmissions and record them on magnetic tape. He actually conceived of a technology that would search through those messages by date and a primitive form of keyword search for use in legal discovery. The design allowed for similar searches on other available media like vinyl records and audio cylinders. Dr. Sidney Zweibel of the Banzai Institute noted that Tesla's continual legal battles with competitors Edison and Marconi made Tesla recognize the importance of tangible evidence in court. By 1938 a lot of information was being transmitted electronically and recorded electronically. Tesla was beginning to feel that valuable evidence that could be used in court was being lost and should be preserved, so he invented a primitive form of eDiscovery for selecting, capturing and storing evidence for later use in court. eDiscovery has been part of the process of legal discovery even before it was practical and actually came into existence. The Fractured Impact of eDiscovery. However, even now, in 2017, most legal firms are still operating a fractured and fragmented approach to eDiscovery. Some argue that the potential costs and complications of eDiscovery are actually keeping some cases out of court. One trend is to notify an adversary at the time litigation is filed, or even earlier, of the need to establish a litigation hold regarding documents and other materials relevant to the case. The rules require that litigators meet and confer about their issues regarding electronically stored information (ESI) and documents. Then the legal teams start doing cost-benefit analyses to decide whether to litigate or not. The costs and complication of eDiscovery is a significant factor in many decisions not to litigate, but to settle out of court. At present at least nine out ten legal cases, both civil and criminal, never get to court. The complications around eDiscovery may well be one factor contributing to decisions to settle.Some lawyers are of the view that cases in which eDiscovery actually leads to finding a keenly relevant piece of information, a "smoking gun," are rare. More typically, problems arise as to whether the electronically stored information (ESI) is actually recoverable and accessible and can be obtained without too much cost. Sometimes documents get erased either prior to or even after a litigation hold should have been put in place. The problem often arises with the storing and distribution of emails which are often said to be misclassified or missing. These factors often lead to decisions to settle rather than go to court. Often the plaintiff in the case is accused of turning discovery into a "fishing expedition." If the defendant can convince the court of this, the court will likely entertain a motion for a summary judgement. In some cases extensive eDiscovery is important. In a fraud case brought by a large company against several corporate officers, eDiscovery and computer forensic evidence uncovered a covert and complex scheme to defraud that had cost the company several million dollars. Emails and documents that had passed through the officers' personal computers as well as work computers were critical to proving mail and wire fraud. In a case involving breach of confidentiality agreements, eDiscovery and computer forensic evidence were key in proving that the former employees stole customer lists and inventory information, and privately contracted what would have been company services to current company clients. The evidence forced a settlement out of court. Excessive use of eDiscovery can be a burden on private litigants and the courts themselves. Courts have actually begun to impose obstacles to unfettered eDiscovery. It's true, despite its potential value, that eDiscovery has costs that go far beyond vendor costs and put a lot of overhead cost on companies. However, in the opinion of some legal experts, the cost of eDiscovery in itself, should not be an excuse for obstruction of justice. If evidence is important, it should be found and presented. The best solution is for counsel to actually work together, comply with the rules of discovery and produce relevant documents to pursue the logic of the case. Evidence should be identified, preserved, collected, and shared as it reveals the facts of the case. Fact-based pleading, as enabled by appropriate eDiscovery, would ensure that a lawsuit is based on identifiable and specific allegations and not merely an excuse to substantiate suspicions. The eDiscovery can provide a road map to narrow the claims to fit the evidence.